Sharrow Lifting Products provides the highest quality available products, and pairs that with unequalled expertise in lifting solutions. Our sales and applications staff is known for personalized service, from ready answers on the phone to on-site application analysis. 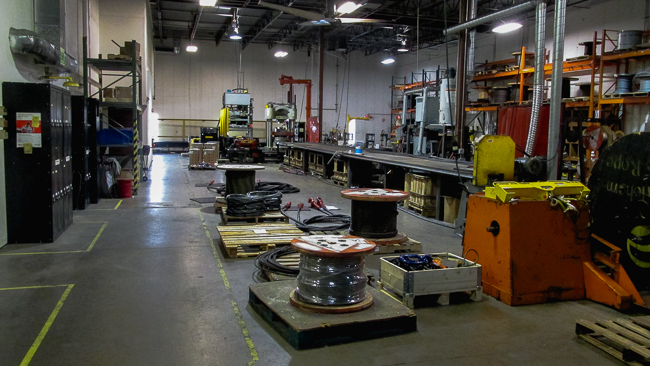 For 65+ years, we have worked closely with clients in many industries to assist in the proper selection, use, and maintenance of their lifting products. Our commitment to being your supplier starts with providing the right products for the job, and continues through years of commitment to customer service. Whatever you need to lift, pull or move, Sharrow has the proven knowledge and products to deliver the ideal solution. Contact us today or browse our catalog to find out more about our rigging services. The Sharrow tradition was started under the name of C.C. Sharrow Co., Inc. in 1952 by “Shorty” Sharrow. As the company grew, Shorty’s three sons (Clarence, Larry, and Bob) joined the family business, and in the early 1970’s, the boys bought the company from their father. When the brothers neared retirement, they formed an Employee Stock Ownership Plan (ESOP) to allow Sharrow’s longtime staff members to purchase the company. The ESOP was put in place in 1994, and the company has been 100% Employee Owned since 2000. In 2003, C.C. Sharrow Company, Inc. added a new capability when it purchased Federal Crane & Hoist. Since then, the company has adopted the dba “Sharrow Lifting Products” to encompass all the solutions we provide as a one-stop shop for lifting needs.